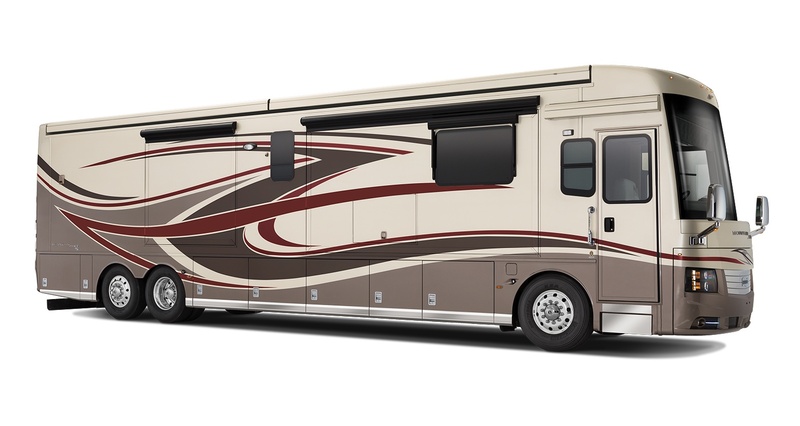 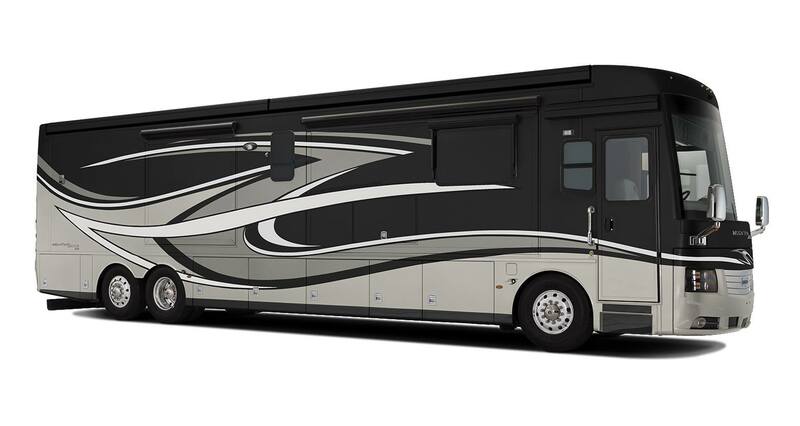 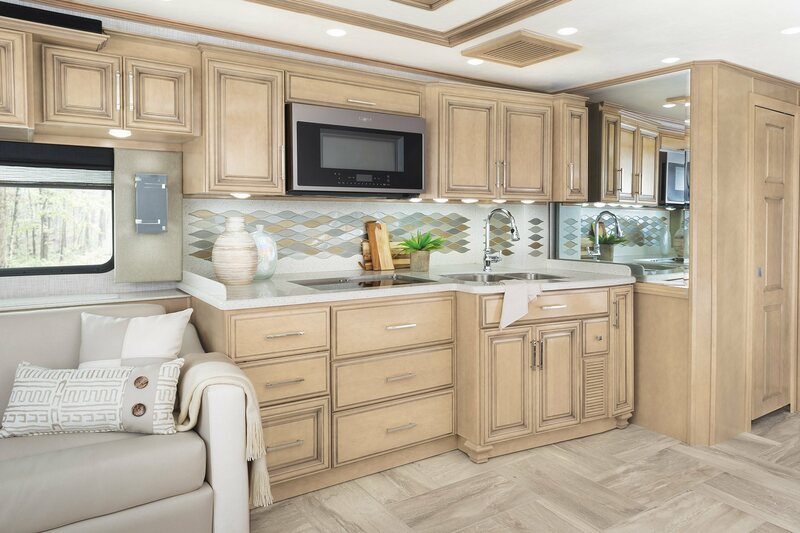 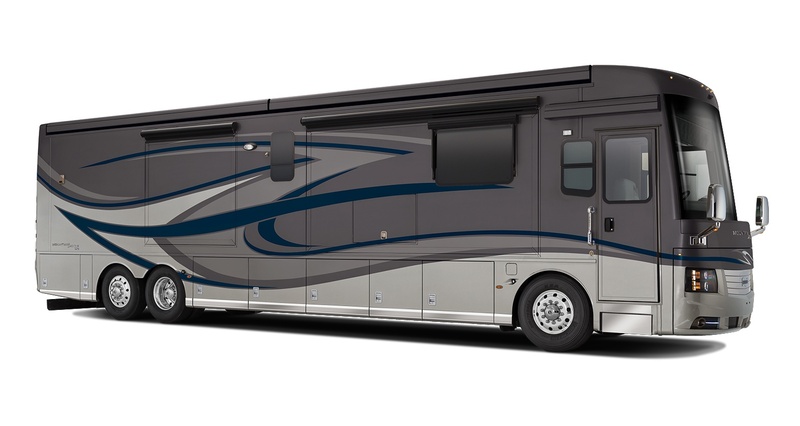 Every 2019 Mountain Aire showcases our industry-exclusive full-paint Masterpiece™ finish. 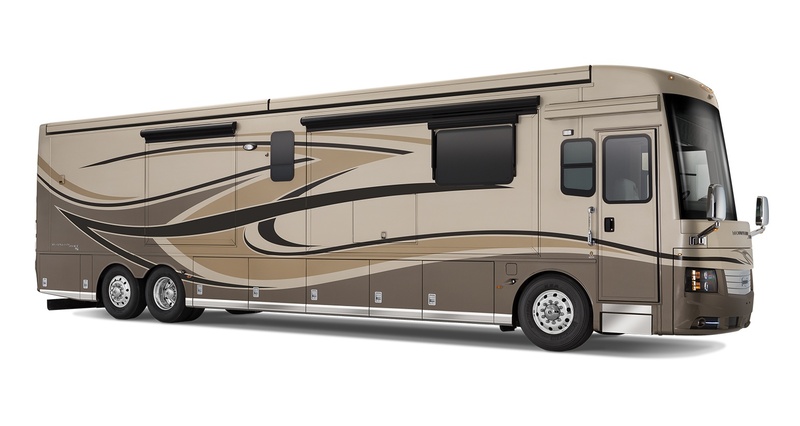 Boasting a reimagined interior, nearly every inch of the 2019 Mountain Aire represents an evolved sense of style. 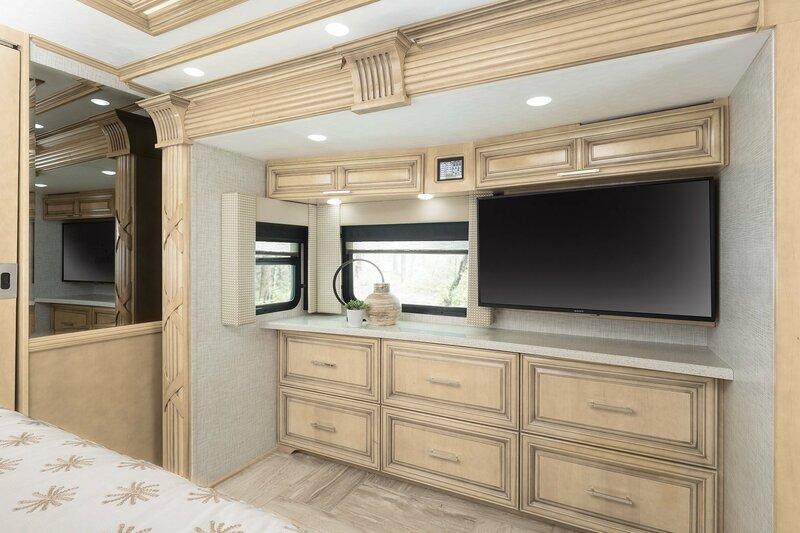 Custom-made chrome wall sconces are positioned atop textured cobblestone fabric window treatments, with a hardwood fascia showcasing multi-dimensional carved wood accents. 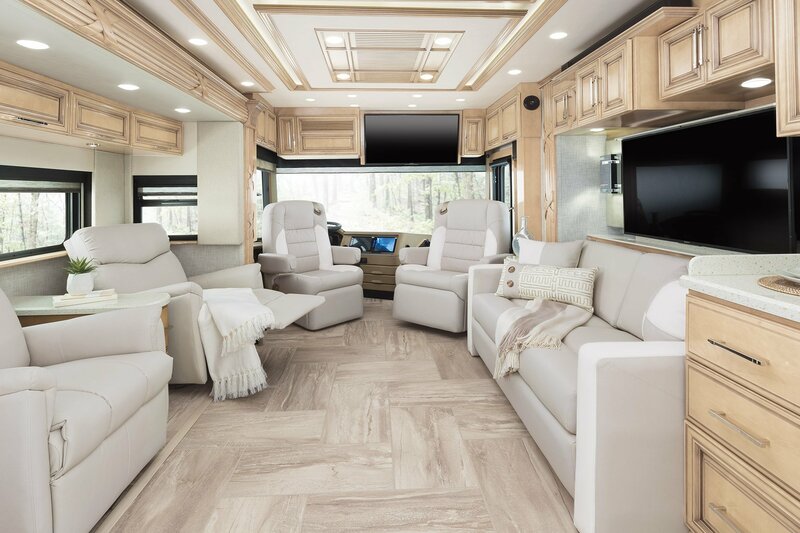 On top of 45 feet of gorgeous herringbone-patterned porcelain tile, floor plan 4579 lets you select between a new chaise lounge or a pair of recliners split by a solid-surface lampstand. 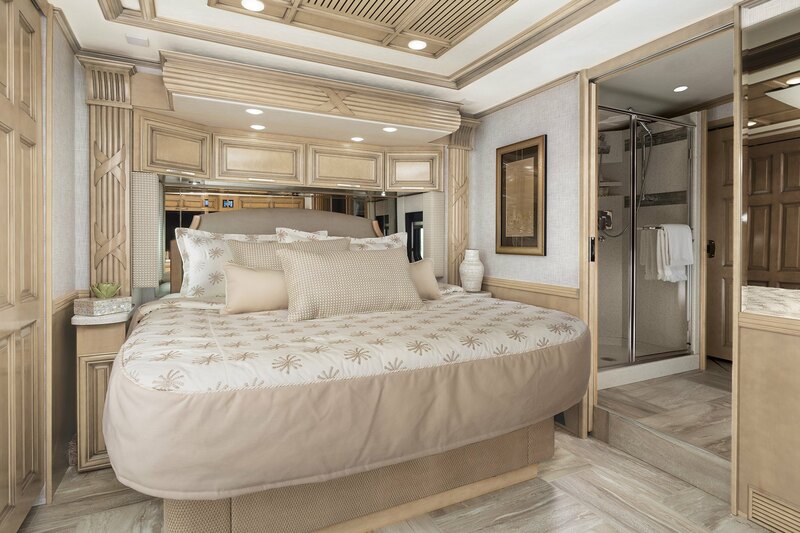 And for journeying to the next destination, heated captain’s chairs include a queen-sized passenger seat with a footrest. 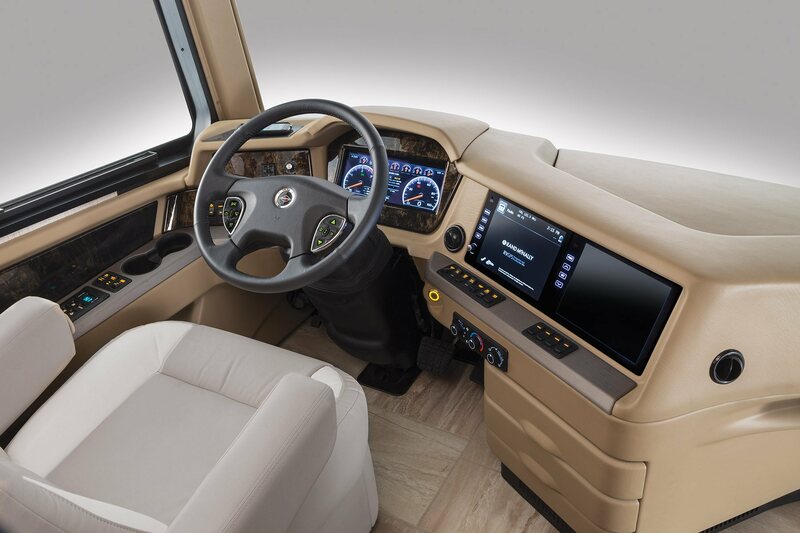 There is even a dashboard-mounted wireless charging pad for your mobile devices.